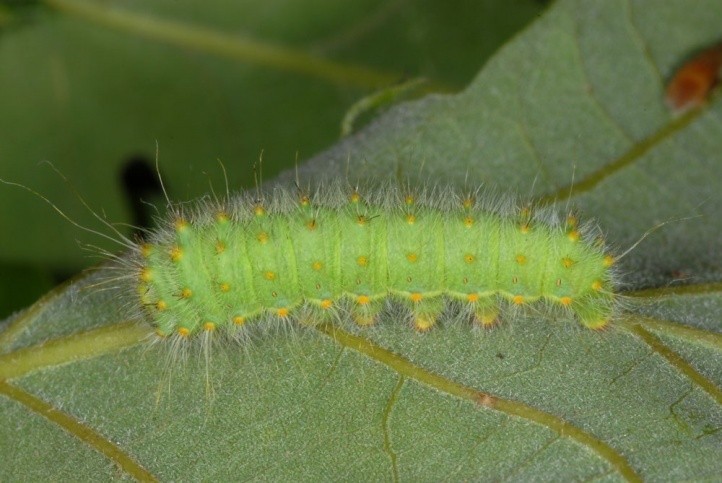 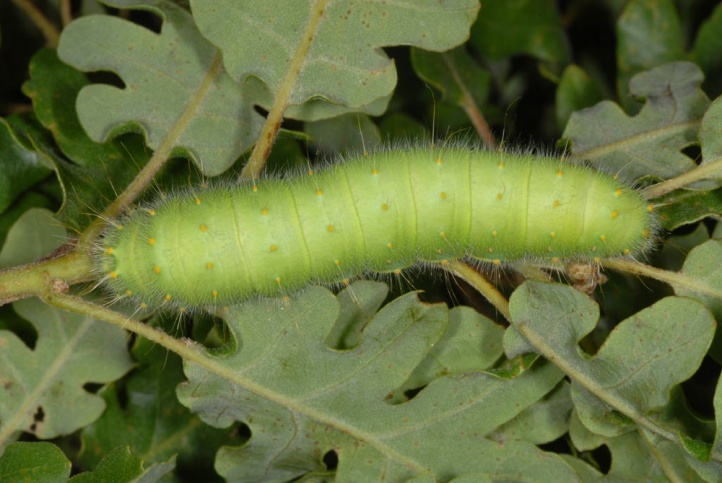 The caterpillar lives on oak species (Quercus). 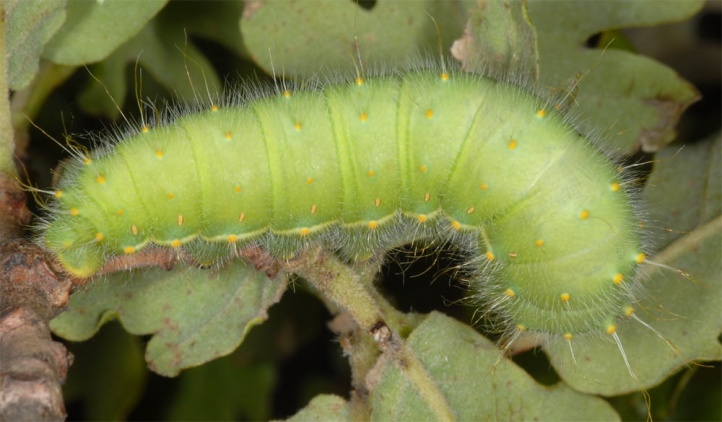 Perisomena caecigena inhabits clear, warm oak forests and other areas with oak bushes to about 1400m above sea level. 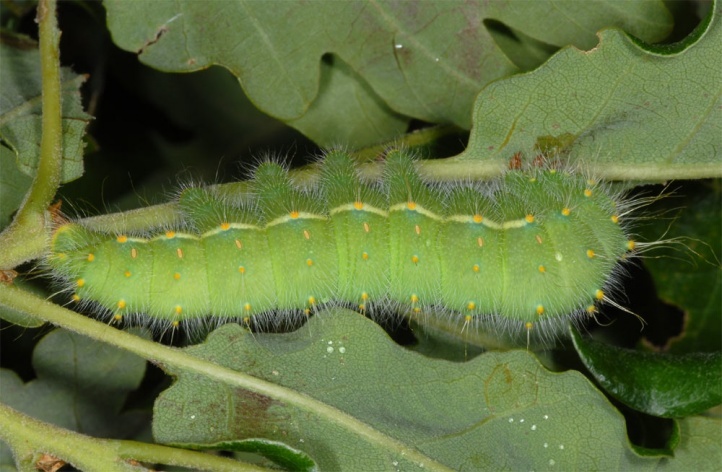 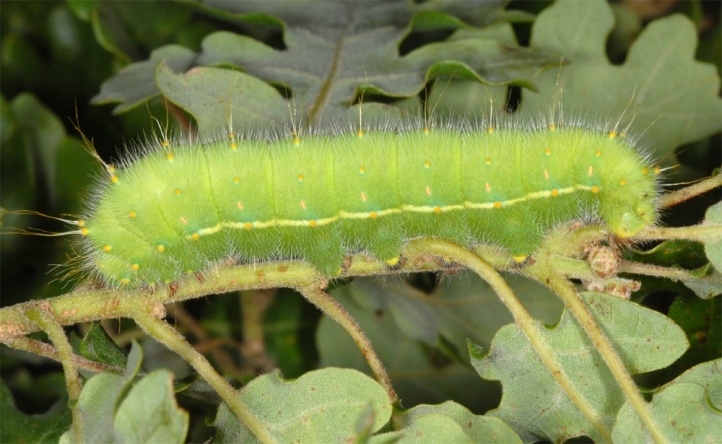 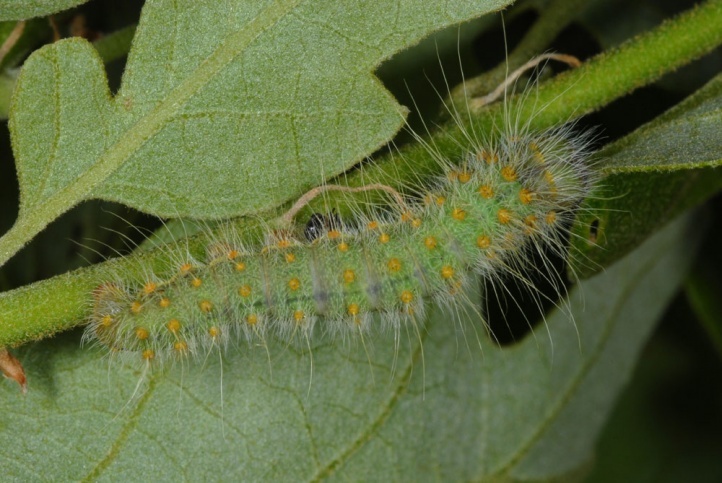 I met numerous mature caterpillars in May 2010 in the northern Greek Pindos west of Grevena together with those of Eriogaster rimicola and Satyrium ilicis on oak bushes (1 to 4 m in height) on warm embankments of roads through oak woods. 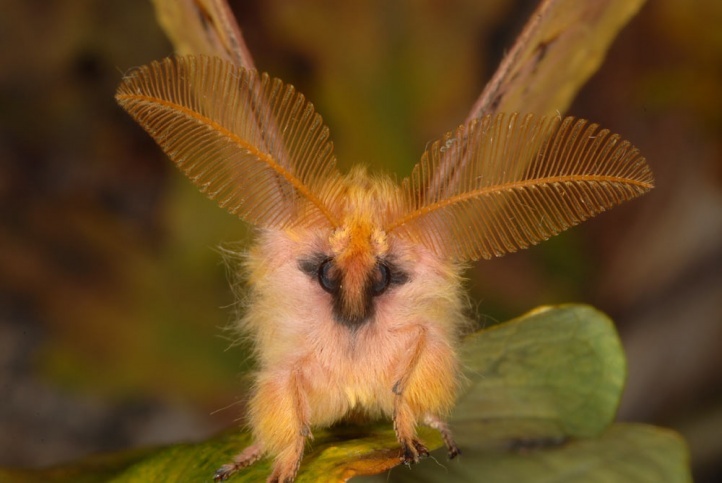 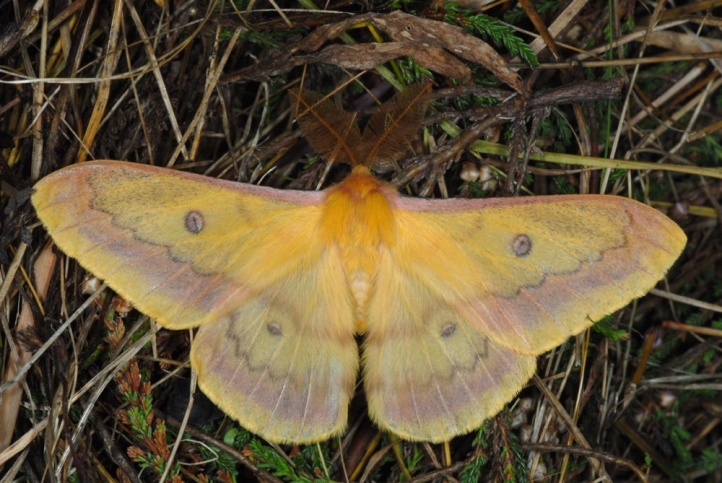 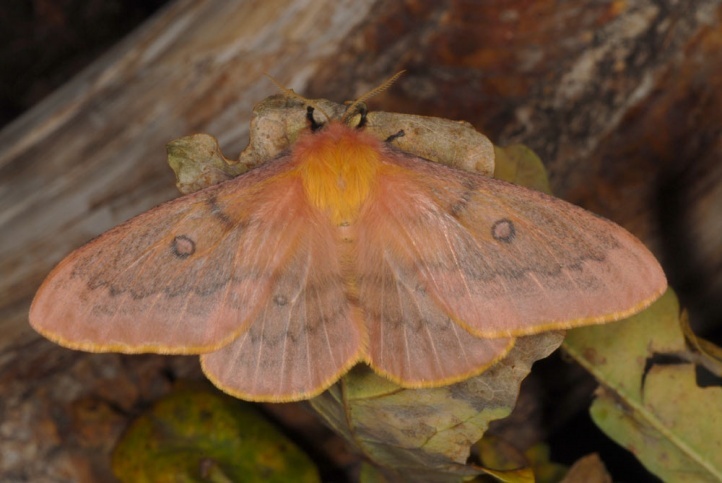 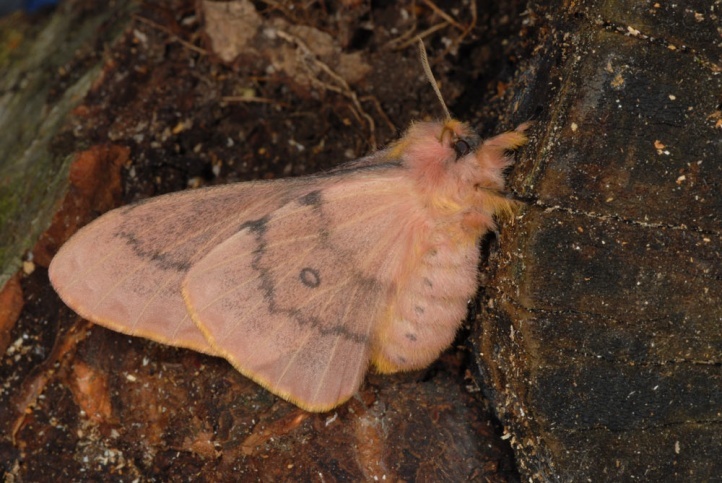 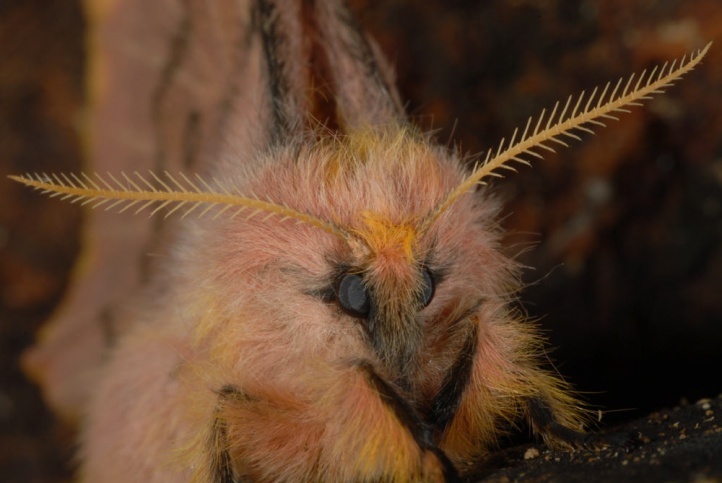 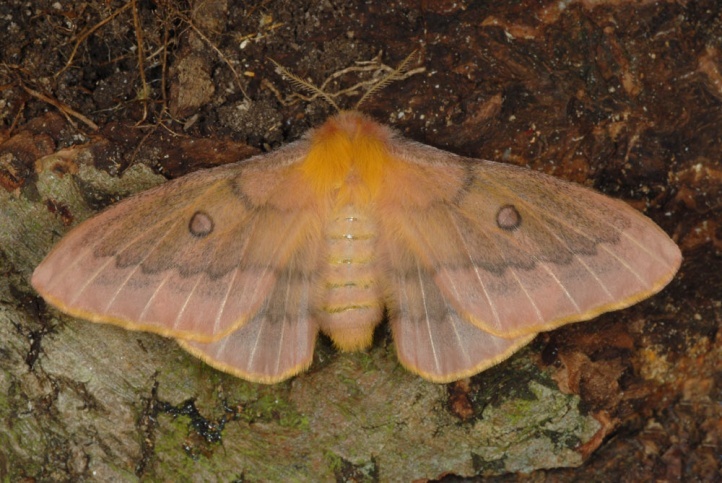 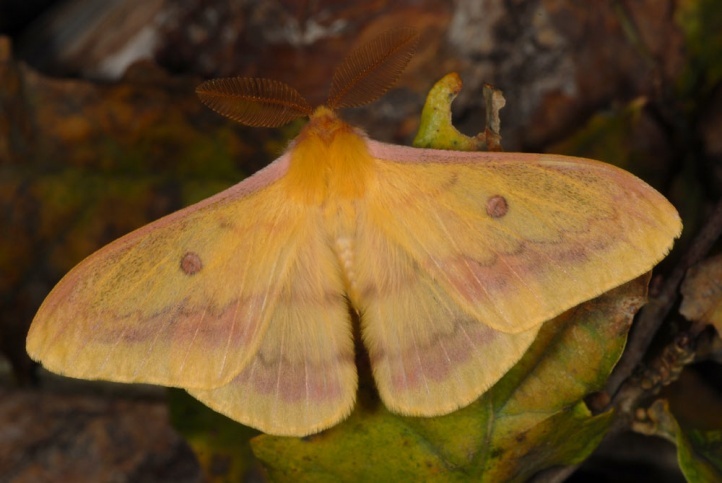 The moths emerge in the autumn (late September to November), usually in the late afternoon (breeding observation). 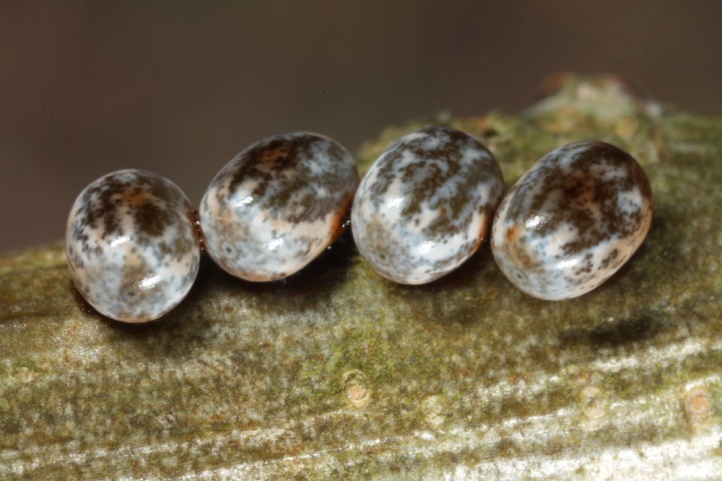 The eggs overwinter singly or in small groups on the bark of branches and stems. 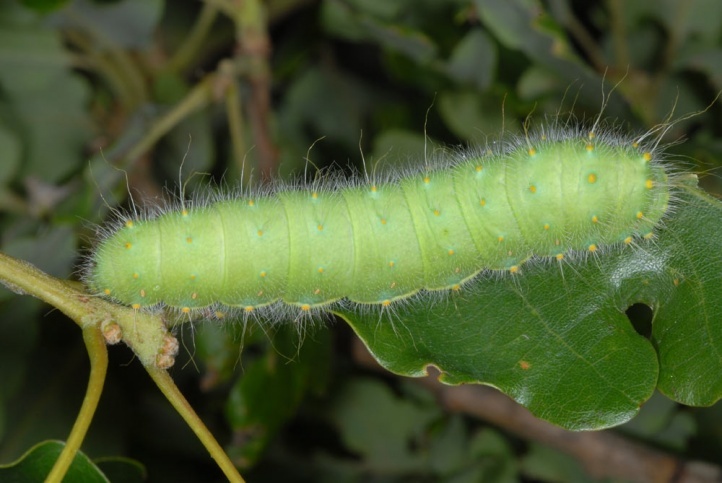 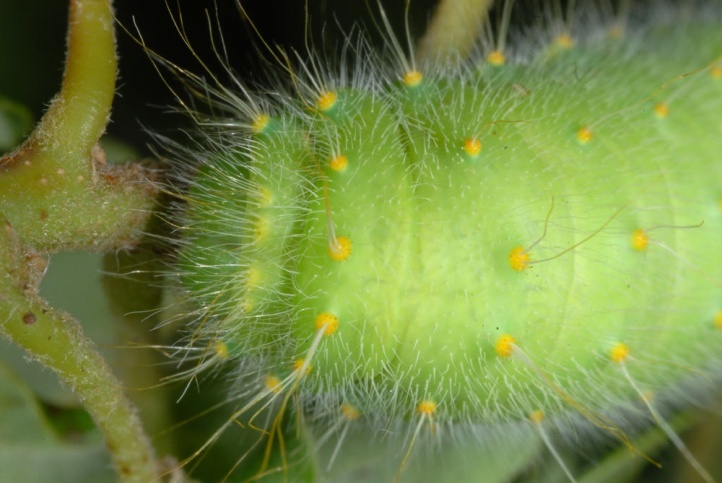 The caterpillar is mature in late May or in June. 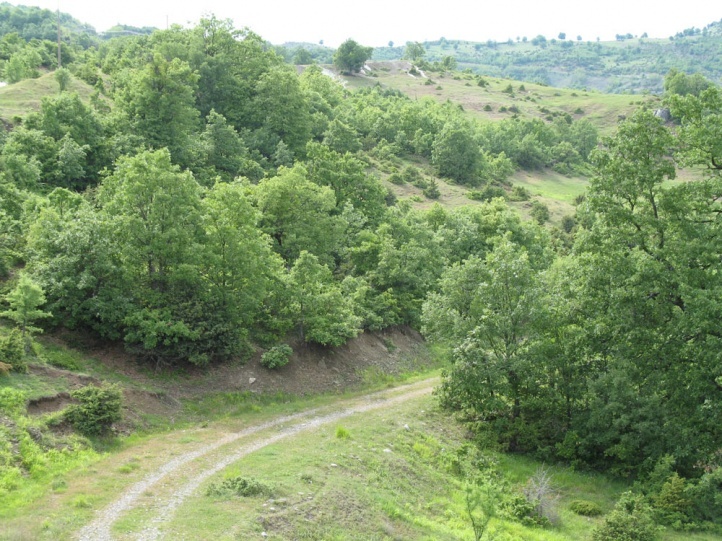 It is usually found singly. 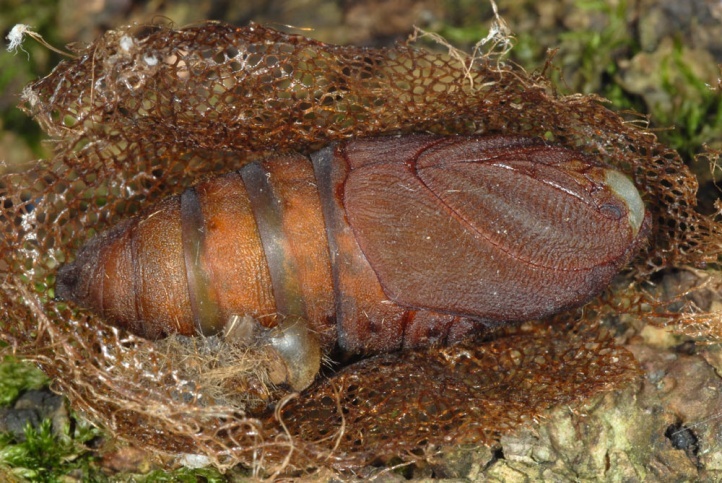 Pupation takes place on the ground between dry leaves, etc. 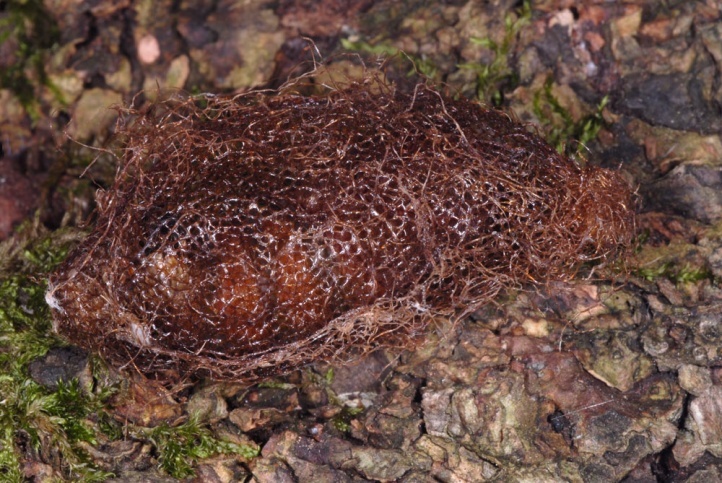 in a net-like cocoon. 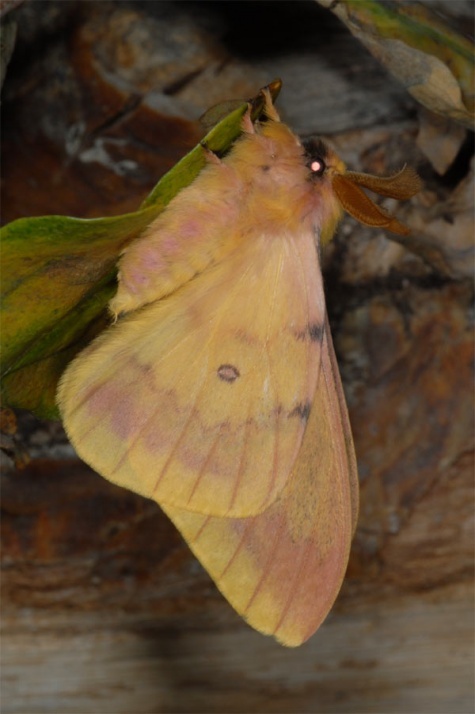 Perisomena caecigena is sometimes locally threatened by forest destruction, but apparently in many places still common. 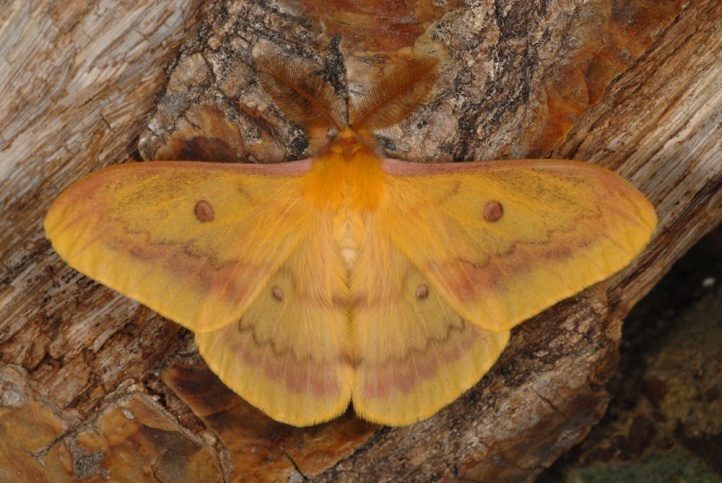 Perisomena caecigena is found in Italy (Abruzzo). 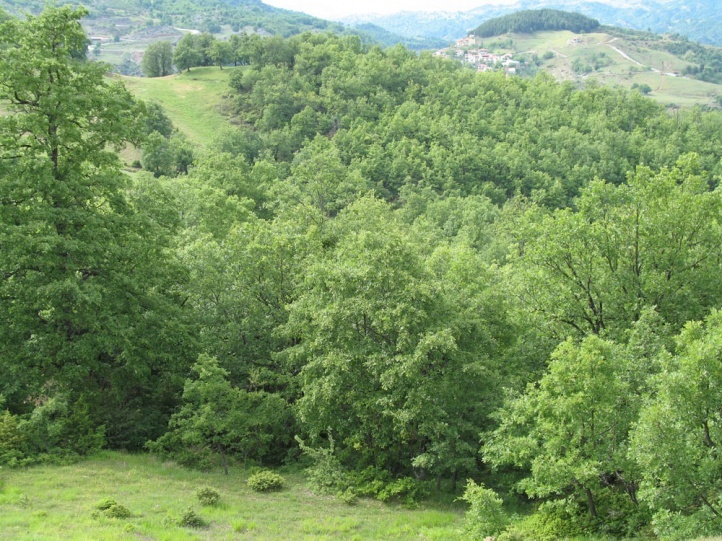 However, it is much more common in the Balkans, where it can be observed from Istria and southern Hungary to Greece (especially common in Pindos), to Turkey and to Transcaucasia.